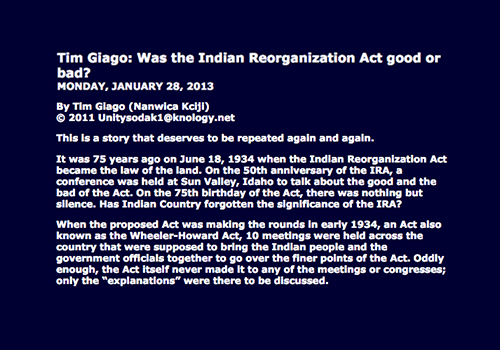 It was 75 years ago on June 18, 1934 when the Indian Reorganization Act became the law of the land. On the 50th anniversary of the IRA, a conference was held at Sun Valley, Idaho to talk about the good and the bad of the Act. On the 75th birthday of the Act, there was nothing but silence. Has Indian Country forgotten the significance of the IRA?